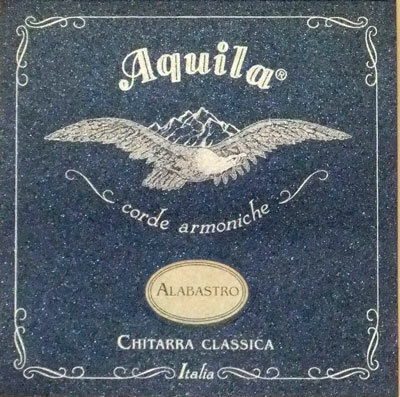 Great strings,The light tension strings are what I seem to like the best but all Aquila strings are great and stay in tune better than most. This is the first time I have used these strings. Once they settled in I like the tone of the trebles and the depth of the basses. Yet to se how long they last. I haven’t used them yet. These are superb strings and I will be encouraging all of my students and guitar friends to try them. The basses are robust sounding and the trebles are not only "buttery" (to use a term from another user's review) they are warm and vibrant. Try these strings. You will love them. A shout out to SBM employee Matt. I called to inquire about these strings, as they are relatively new. He called me back within an hour. Thanks Matt, you were a big help! After reading some reviews I took a chance on these and I'm super glad I did. The factory strings that came with my Taylor 12e-N had that 'plastic' sound to them so I was looking for the exact opposite of that. The Alabastro set sounds strong and consistent across all 6 strings - they're the least 'plastic' set of nylon strings I've ever had. ErgoPlay Adhesive Suction Cup Protector Strip, 1.25" x 3.75"